WWE Superstar R Truth was recently seen in a backstage segment with Cathy Kelly, opening up on whether he was switching brands in the Superstar Shakeup. On being asked where he was heading to, Truth stated that he had been drafted to the XFL. R Truth has been a WWE mainstay since a long while now. The crowd-favorite babyface is primarily known for being in a confused state of mind most of the time. This has led to several hilarious moments in the past, most notably a spot in the Royal Rumble match in 2016. R Truth confused the free-for-all with being a ladder match and took out a ladder from underneath the ring. The senile Superstar went on to climb the ladder, only to find nothing hanging on the top. Truth was immediately eliminated by Kane. When Cathy Kelly asked Truth whether he was being drafted somewhere during the Superstar Shakeup, he responded by stating that he's excited and his dream has come true. Truth followed it up by saying that he has been drafted to the XFL. I'm excited... it's like a dream come true and I'm still shaken up by the whole thing. XFL! I got drafted by the XFL! I've been playing football since high school. 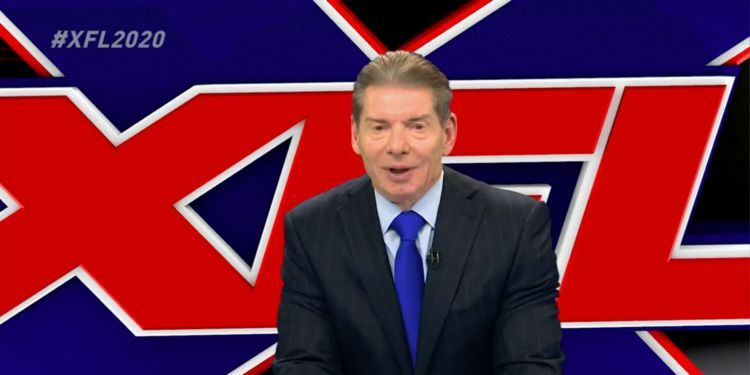 I just released my music dance break, but right now, the XFL is more important right now. R Truth's gimmick of a delirious guy has been a hit with the WWE Universe, and this clip posted by WWE is another one in a long list of hilarious segments featuring Truth in all his unstable glory. What are your thoughts on R Truth's gimmick? Does it stand a chance to ever rise beyond the lower mid-card level?